Fly private to Opa Locka for your next business trip or real estate investment. Miami is spreading its wings, and the gentrification of thge area is an eventuality that many investors are looking forward to. However, for now it’s still the Spanish-speaking, Pitbull walking, chorizo-hocking capital of the Floridian Havana. This might not sound like the description of a luxury travel destination, but with its proximity to Miami, it makes a great alternative to (MIA) Miami International Airport. With an 8,002 foot runway, the nearby Opa Locka Executive Airport (OPF) can accommodate just about any jet size in good weather conditions. Rather than dealing with the pandemonium at commercial ports, ask your personal jet charter broker to arrange your flight to OPF Executive airport instead. We’re available all day, every day, to ensure that your needs are met when they need to be. Enjoy customized catering, in-flight Wi-Fi, and a full crew to help make your trip as comfortable as possible. You can also reduce the cost of your flight with an empty leg deal at Opa Locka Executive. Forget about the logistics and tedium of planning a commercial trip, and let us worry about it for you. Request a quote now or give us a call to book your luxury private flight to Opa Locka, Florida. After flying private to Opa Locka’s executive airport, you’ll be about a half hour’s drive from whatever hotel you’ve chosen, as most of them are found in South Beach. From Collins Avenue and Biscayne Boulevard to Washington Avenue and Ocean Drive, there are streets full of decadent resorts and contemporary hotels throughout the area. With money constantly flowing in from South American investors and a booming tourism industry, the area has developed some of the ritziest hotels in the world. Some are even equipped with their own helipads, and can be reached in about fifteen minutes. Ask your broker about possibly arranging a private helicopter lift to get you even closer to where you want to go. If you choose a hotel that lacks a helipad, we can still arrange ground transportation to get you there efficiently and comfortably. If you’re looking to stay a little closer, nearby Doral has the ares best luxury accommodations. As private aviation experts, we’ve used our experience in the area and feedback from clients to come up with a list of the best hotels in the area. Tailored to our clientele, this list is a great place to start your search and figure out where you want to stay after your private flight to Opa Locka, Florida. Flying private to Opa Locka is generally a decision made for convenience. (OPF) Opa Locka Executive Airport is located along the edge of Opa Locka and offers greater anonymity, comfort, and efficiency than most South Florida airports. This is advantageous for a number of reasons, and is part of the allure that comes with chartering a private jet. Enjoy greatly expedited customs procedures when flying in from outside of the country, and skip all the lines and hassles found at commercial ports. After landing, our clients typically head East. Famous for its beautiful beaches and people, and coveted for its exciting nightlife and music scene, the city really needs no introduction. However, if you haven’t been before, the city can get confusing quickly. “Which restaurants should we eat at?” and “which clubs should we go to?” are fairly common questions that pop up when visitors come to town. Well we’ve used our local experience and feedback from past clientele to come up with a few suggestions. From the most exclusive clubs to the poshest bars and best restaurants, this is a great place to start fattening up your itinerary. 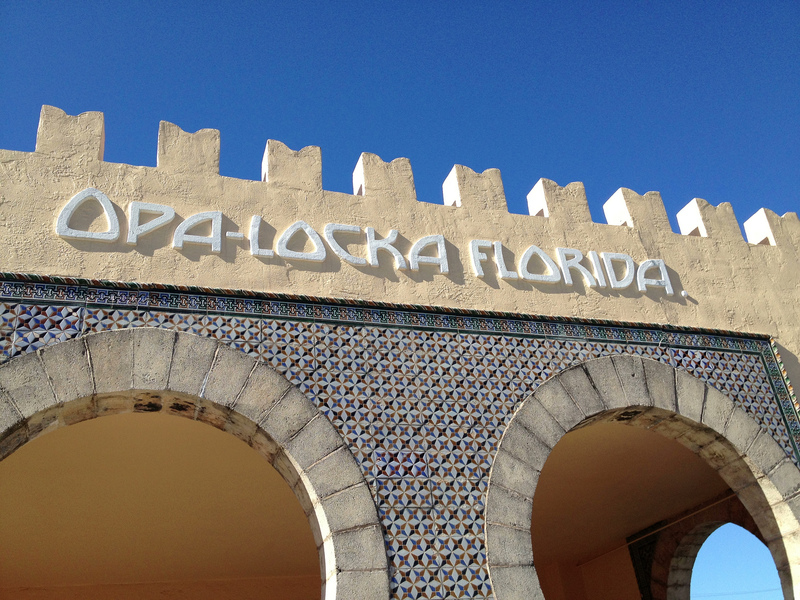 Listed below, you’ll find all of the best attractions for after a private flight to Opa Locka. Miami Beach Jet Charter utilizes the following airports to fly clients privately to/from Opa Locka, Florida and neighboring areas. Request a Quote or give us a call at 1-888-987-5387 to speak with one of our Opa Locka Private Jet Charter agents for your next luxury vacation, business trip, or special event.